In 1993 I brought my first Vespa PX125 from the brother of a previous neighbor. This was sold on to a friend after a year or so but I had clearly got the bug. It was only a couple of years later that I purchased another from a local Importer (K&S Scooters). This came in the form of a very standard Italian Import PX 125. It was clearly used as an everyday transport in it’s past, and not wrapped up in cotton wool. This showed in the battered mudguard and side panels. 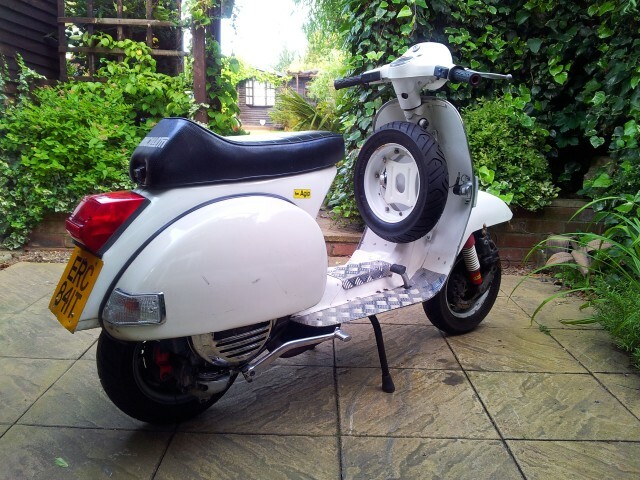 The scooter was dated as being made in 1979 by an expert in the UK. Once this evidence and additional paperwork was completed and sent to the DVLA i received the UK documents. 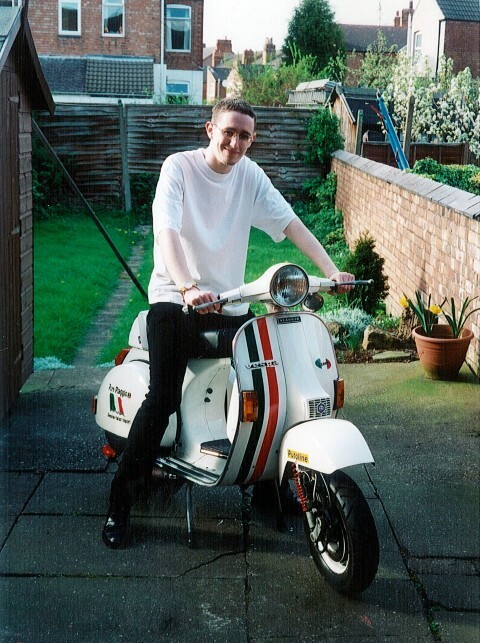 Shortly after this I had an MOT and insurance, and at this point it didn’t take long before made the scooter my own. 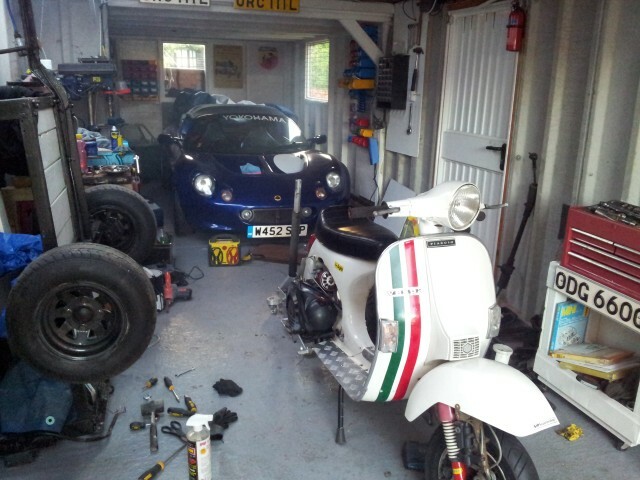 This came in the form of a few modifications such as electronic ignition, front disk brake, filled in side panels, Italian stripes and an Anciollotti seat. 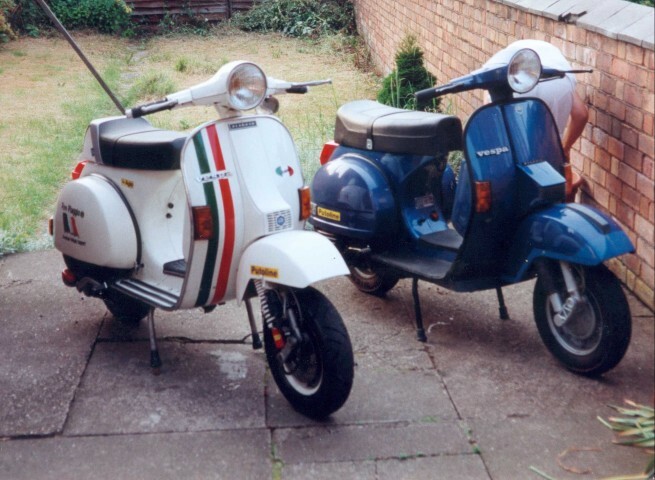 In the late 90s I purchased a more modern Vespa T5 scooter (blue in the picture below). This became my every day run around and a bit of a distraction in all honesty. I did lots of trips, and rallies on this scooter, and as a result became more sentimentally attached to it than the PX for that period in my life. However, this came to an abrupt end in 2003 when it was stolen 🙁 . A few small mods took place on the PX afterwards, such as riffled alloy foot plates. 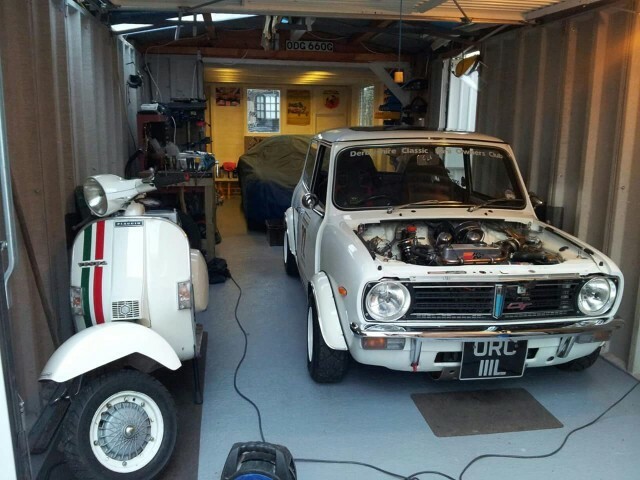 But essentially it sat on the back burner while i purchased and worked on a verity of other vehicles, such as my 1968 mini Cooper S & 1972 mini 1275GT. I also did quite an extensive (irreversible) performance porting modification to convert the engine from disk valve induction to reed valve. 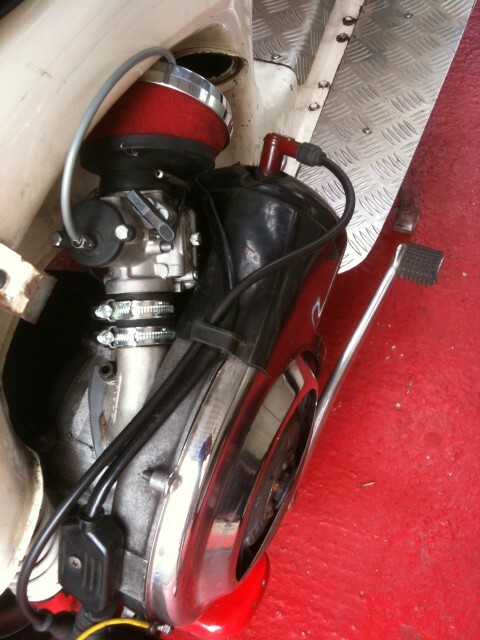 A Mollossi Reed valve, air filter and Dellorto carburetor completed the install. I did all of the work myself to save money, and was pretty happy with the scooters performance after. 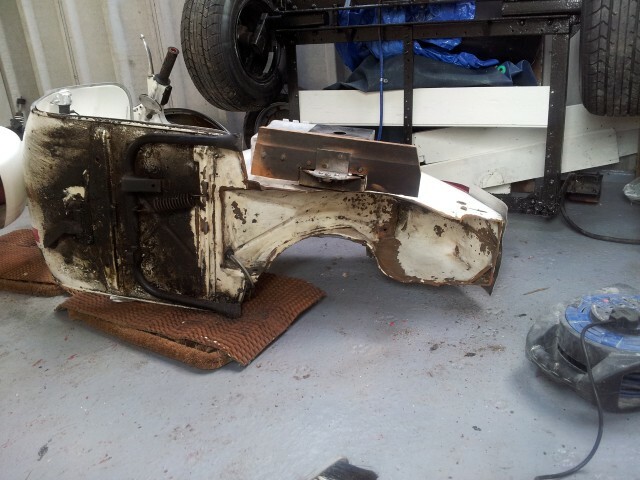 I had done some porting back in the 80s and had an understanding of what and where to remove metal. The photo above was taken shortly before i performed a 360 degree spin on a main road as I rode home. Semi slick tires and snow are a recipe for disaster by the way! Fortunately the traffic was moving slowly, but an acute feeling of embarrassment proceeded, followed by a sense of relief as i took on board the fact both my scooter and myself were undamaged! I have had to make some pretty challenging decisions with my vehicles in the past. Even though this scooter held the prize for the vehicle i have owned the longest (20 years), sadly it has had to go. My justification was that I hadn’t been using it much, and my campervan had become the focus and my priority. If there is a silver lining to this, the scooter was brought by a friend. This friend has always wanted a scooter, and following a near death experience with blood poisoning ( septicaemia ), he decided to change his stressful job to cut down on his work hours, and follow his dream of owning his scooter. 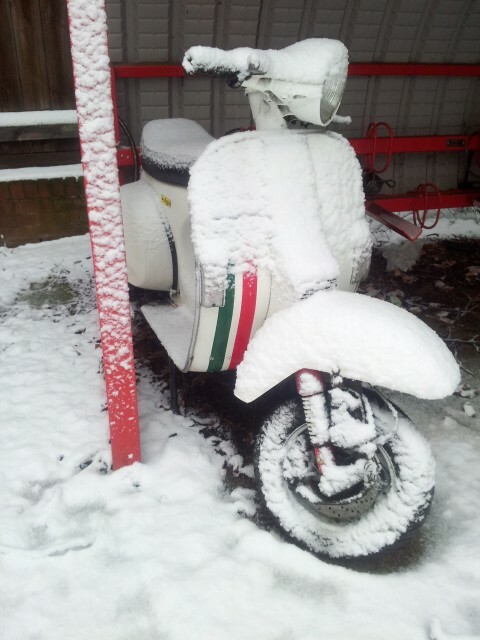 On this note there is every opportunity to stay in touch with the scooters future history. 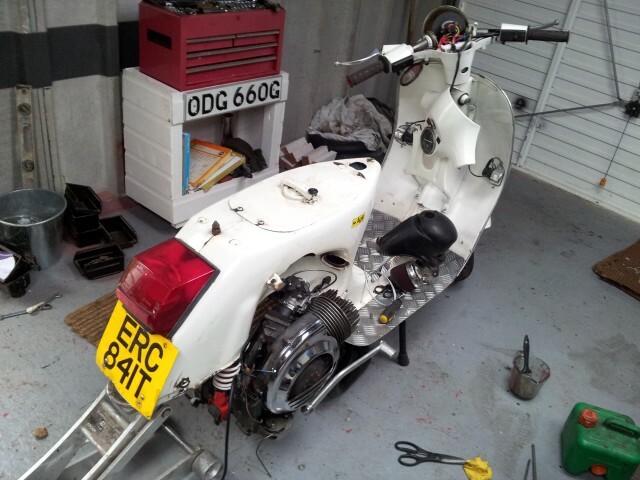 I still own one scooter( Gilera Runner ), and we have already said we will get together for a run out on nice days. This scooter was the sole focus of my attention in it’s day, and gave me great joy at the time. 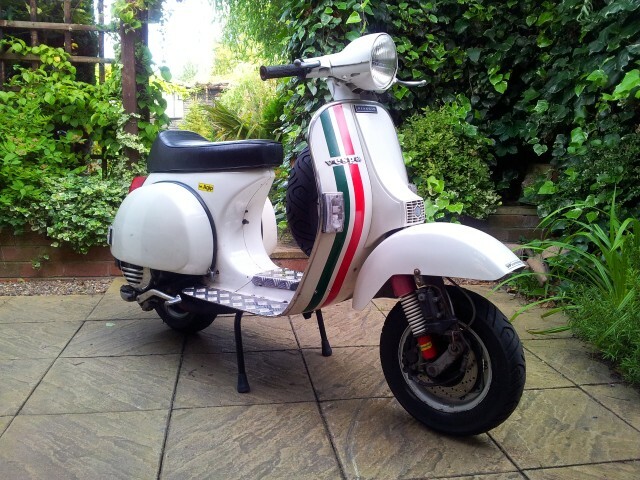 Although Wolfgang is turning out to be a very much more expensive option, the joy both Mandy and myself get out of it gives me piece of mind that the sale of the Vespa has been for all the right reasons.